Translation: Giving advice to a fool for hundred years is as useless as a heavy rain pouring on a stone. The stone never drinks the water. 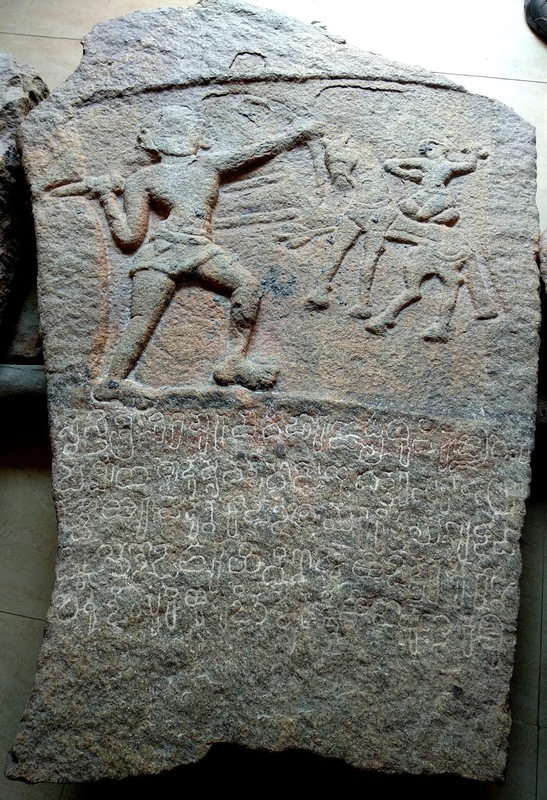 Sarvajna summed it up quite well in the 16th century, well to add to his Tripadi the stones can stand the sun and rain but not human indifference, especially our Inscription Stones. I am glad that I was one amongst a group of Bangaloreans who crossed the fence. 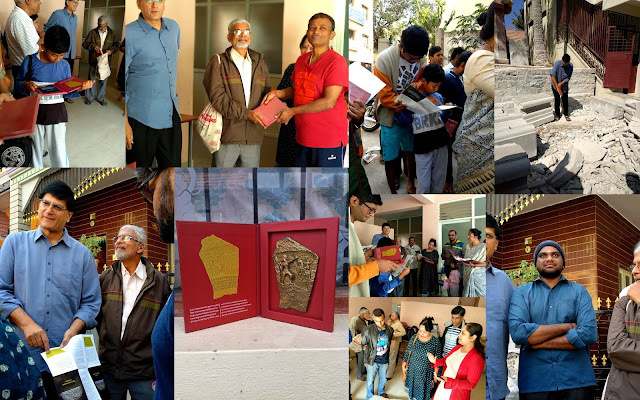 Today we were at Hebbal as a part of the Brass Replica distribution ceremony for the donors who had donated to the construction of the mantappa for the Kittaiah inscription organized by members of Inscription Stones of Bangalore. It turned out to be a great winter morning with fellow city dwellers who care about the city's roots and history and more importantly with people who are actually doing something about it. 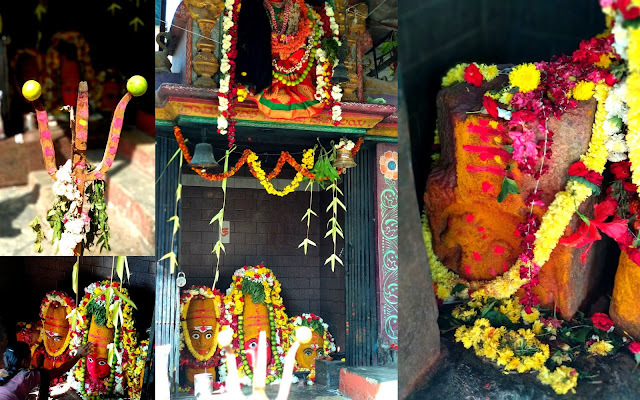 Uday Kumar, who has been driving this citizen led project showed us the first pleasant surprise as we reached, a 18th century inscription stone tucked in a corner inside this local diety Maramma's temple. We humans in the 21st century have ensured that we give our future generation enough concrete to excavate, smeared in layers of all pastes and grilled. As we were discussing we found the localities performing some rituals of worship, this got me into a train of thought. Why don't we find out what exactly are we worshipping, why aren't we told, why don't we question? An eye for these precious details of the past is all that we need if we really wish to protect them. What got us all together on a cold December Sunday morning in the narrow lanes of Hebbal here was the love towards our city-Bangalore, Bengaluru, Bendakalooru, Vengalur-call it by whatever name. The eagerness to learn and preserve what we own is thankfully alive with some people. During the session we met a localite Dilip, he is the first person who noticed this piece of our city's history lying in a drain and approached the people of Inscription Stones of Bangalore for its revival. 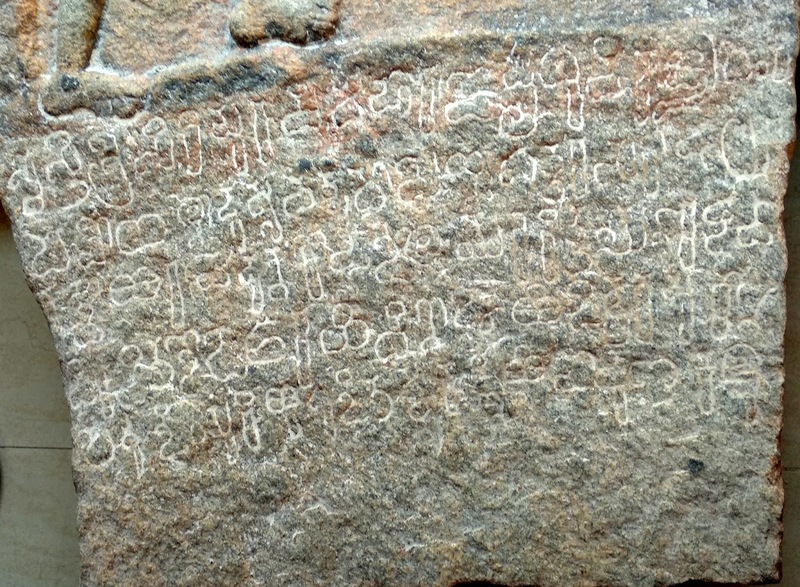 We got to hear about this oldest inscription in detail from the renowned epigraphist and historian Dr PV Krishnamurthy, he was the first to decipher the Halegannada letters on this stone, listening to him was better than an history class in school, such an inspiring eloquence. I couldn't stop myself from recording his words for fifteen minutes! We met Yashaswini Sharma who is the architect behind the Ganga style Mantapa that is being built for these inscription stones, I have ordered her book on Bangalore in which she has extensively researched upon the city and I cannot wait to read it! There are many others like Vinay Kumar, Dhanpal Manchenahalli, Prof. Narasimhan, Alex Kevin, Mohan, Srinivas; people whom I have read about and some of them whom I have met on other occasions. Also there were anonymous donors who gifted these brass replicas to people who have worked extensively for the history of this city. Now where else would you find such collective selflessness? More often than we know we as citizens complain about the government and bureaucracy, about bad roads and power cuts, about power and corruption. Initiatives such as these where people who are pushing this first of it's kind project speak positively about the support that is received from the administration are commendable. We Bangaloreans are indeed optimistic and can really work as a team despite our varied professional backgrounds. 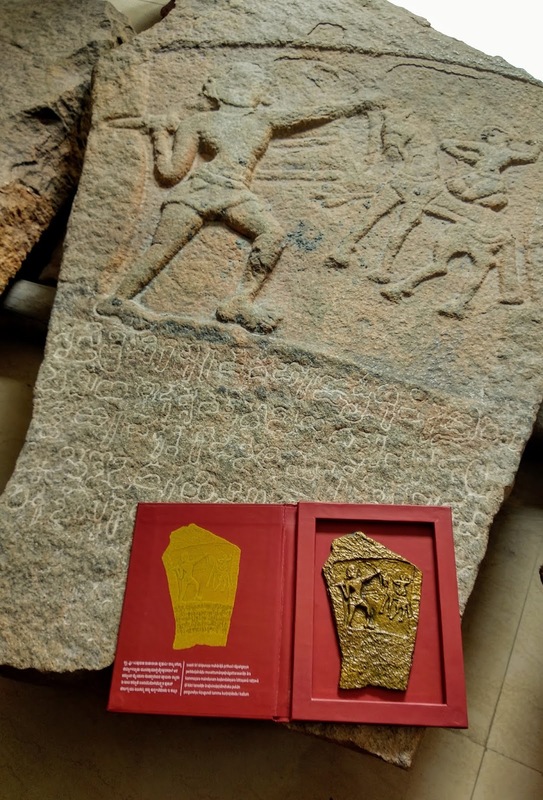 The oldest named Bangalorean, Kittaiah, his brass replica has reached my shelf today and I am going to share this story with whoever visits our home. There is more to this city of Kempegowda, more than the 'City of Boiled Beans' is what I am going to tell them. 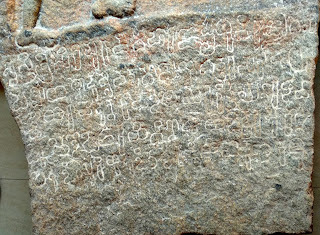 The handout inside the memento has all the details about the history and deciphering, the process of excavation and installation of this inscription, both in English and Kannada. 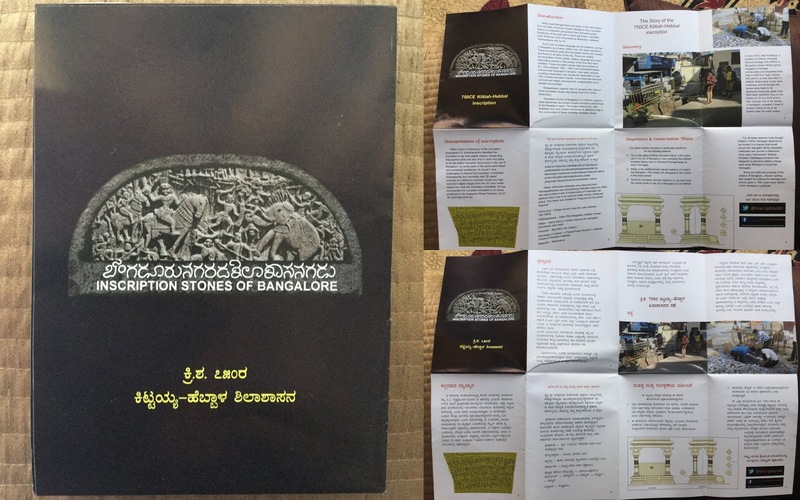 The compilation is an effort of all our fellow Bangaloreans who have cared for this cause. 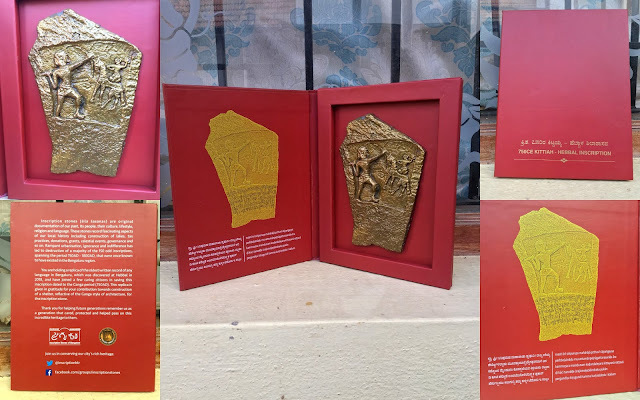 Your love towards the city of Bangalore and contribution will fund the building of a Ganga-style mantapa for the inscription , you will also receive a high-quality 1/8 scale brass replica of the 750CE Hebbal inscription stone in gratitude. Do something for the city you live in. Be a part of Bangalore. Also do listen to this Vachana, some food for thought.